The University of Wolverhampton has been selected as a specialist hub for women’s football and futsal. Wolverhampton is one of 19 universities to have been successful in becoming a BUCS Women’s Football and Futsal Specialist Hub, run in partnership with BUCS and The FA. Through the University Grassroots Hubs programme, 70 universities have received £400,500 to support the development of football and futsal. Nineteen of these universities have been identified to be a specialist hub in recognition of their passion and commitment to developing women and girl’s football, and also wanting to enhance their offer through innovative programmes and working with both internal and external partners. The universities will get access to additional support in the delivery and development of their women’s offer, through both individual and networking meetings. They will be at the forefront of new initiatives and offers, getting first access to pilot projects and innovation sessions to support in the development of the game. 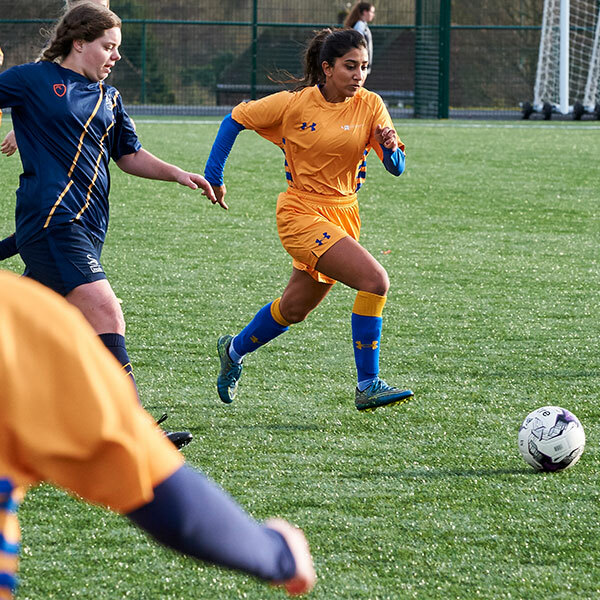 Specialist hubs will have the opportunity to apply for innovation funding to deliver a new women’s football or futsal programme at their institution. Over the next nine months BUCS will be working closely with the 19 universities with the aim of sharing key challenges and successes with the wider network, to support other universities who may be looking to target female engagement in football or futsal. For further information please contact Nicki Russell, BUCS Women and Girls Football Development Officer. For University of Wolverhampton Media inquiries contact: 01902 32 2736 or 01902 518647.